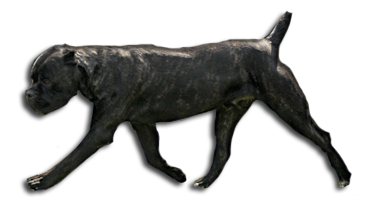 Our first encounter with this breed was the 1997th. I can say that it was the love at first sight. Then we took our first cane corso, female named Luna. 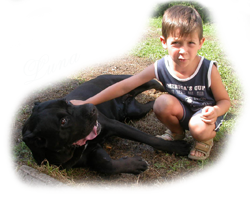 We take her as a pet and also in a short time she became a respected member of the family. Unfortunately in 2007 due to old age and illness she died. 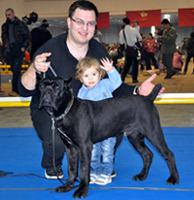 We decided that we will not change this breed and than we will again take the Cane Corso, and so it was. 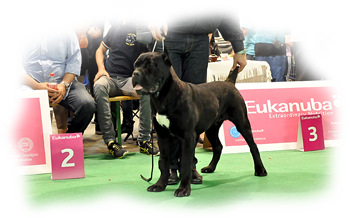 We took Zahur Custodi Nos and Gaia Del Rosso Malpelo, two beautiful dogs that have proven to be very good quality in the exterior, earning a lot of titles at exhibitions. 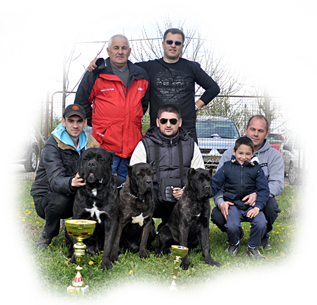 As time went on more and more we loved this breed and finally in 2010 we decided to become breeders of this noble breed. 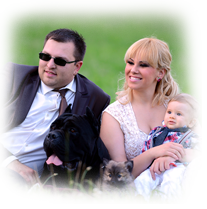 The goal of our kennel is to breed healthy and quality cane corso with very good and healthy character. 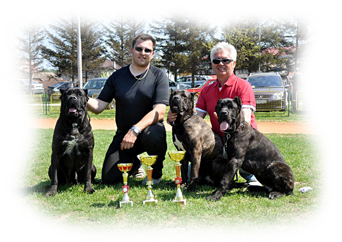 After all this years like cane corso breeder and like exhibitor on a lot of dog shows I decide to become a cynological judge to learn more about dogs and to help if I can this wonderful breed, in March 2013 I become officially a National Judge for all breeds from II FCI Group. VICE PUPPY WORLD WINNER 2013 !!! 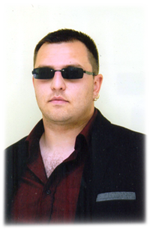 *********************************** From 01.05.2011. – 12.01.2013. We had 70.000 visitors. Thank you very much to all our visitors! !